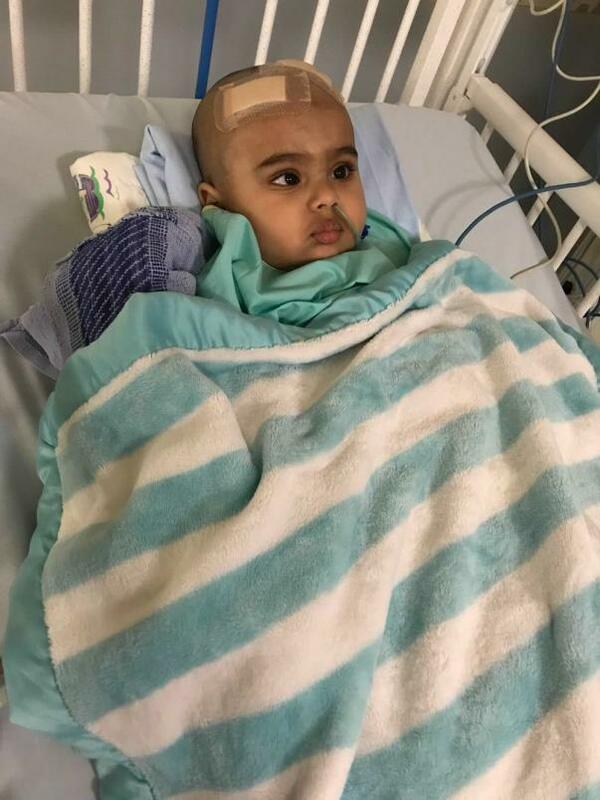 Help Deepansh & His family in their battle with a rare type of (WHO Grade 4) Medulloblastoma Cancer. Baby started vomiting heavily and almost no food intake, Initially parents were not that concerned tried regular diagnosis by a GP, When the situation is not improving in next 2 to 3 days, They were immediately referred to a pediatric specialist in Raffles hospitals, from there for special pediatric care and extra investigation, Baby was shifted to the famous KK Women & Children’s Hospital, The doctors at KK found it strange to have only vomiting without a fever or any noticeable injury to head, and initial test results were not good. Soon after, he was referred to a neuro specialist who immediately ordered for a CT scan. 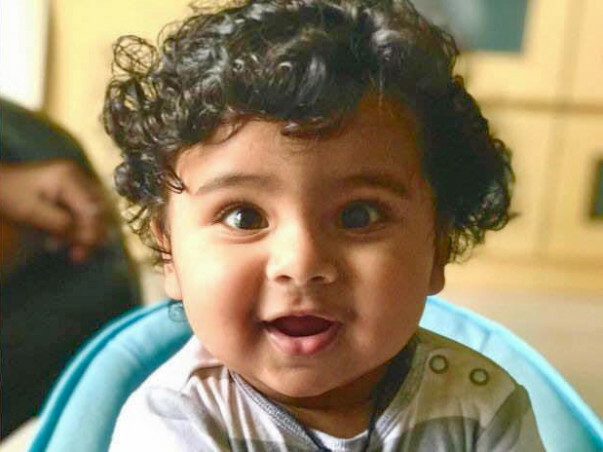 After being referred to a Neurosurgeon for further assessment, Anshu (Deepansh) was immediately suggested for a surgical procedure to remove excess fluid in the brain and insert another tube in his brain to drain out the excess water. The pressure from the swelling of a tumour is also causing one of the pupils of his eye to be bigger than the other. Currently, Deepansh is on medication. However, the medication does not seem to be bringing down the swelling and the doctors cannot increase the dosage as he is still a baby. He is now under observation. 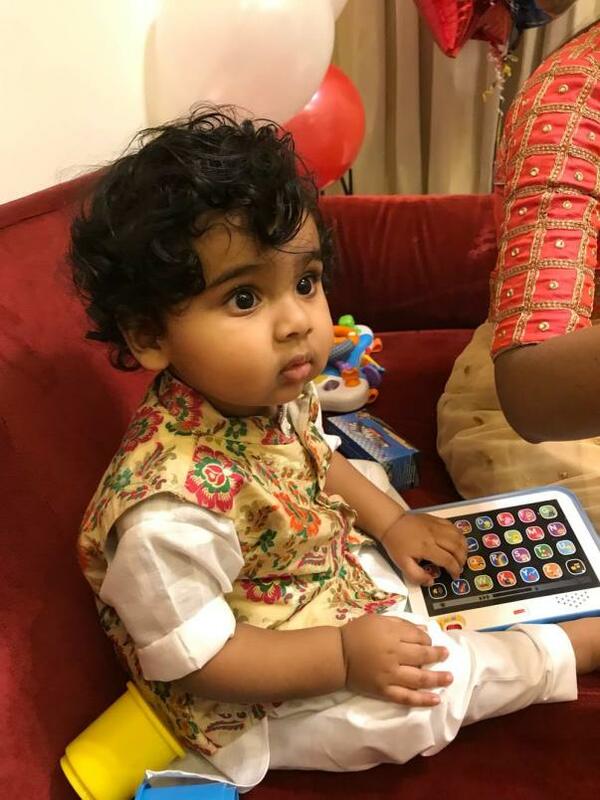 His Biopsy results were out today, A battle plan yet to be weaved: As per initial discussions, Deepansh needed to undergo Surgery + chemo right away, to shrink a tumour and, through the surgery, to eventually remove the mass. 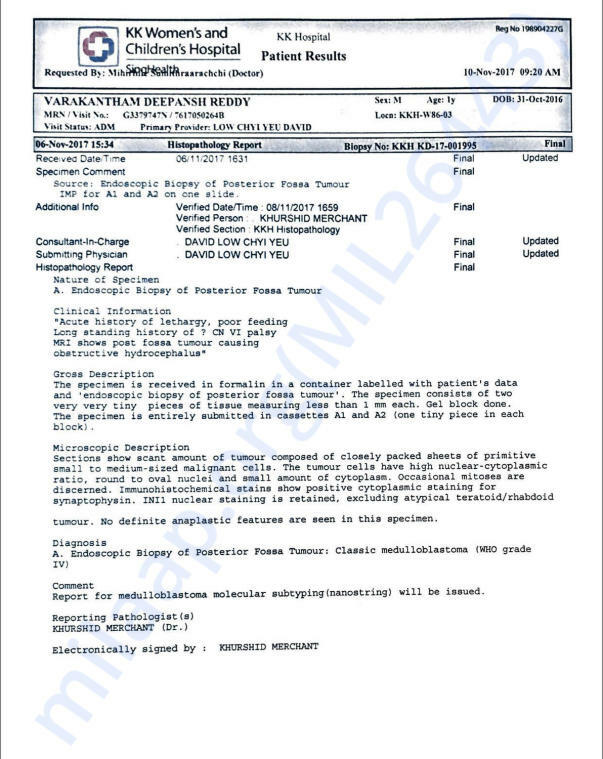 Consultation from the oncologist and biopsy results has confirmed medulloblastoma (WHO Grade IV), Deepansh’s rare cancer is an aggressive type and has very tough treatment process ahead, even after a successful surgery, Deepansh has to undergo chemo in different cycles with 2 sessions each cycle. 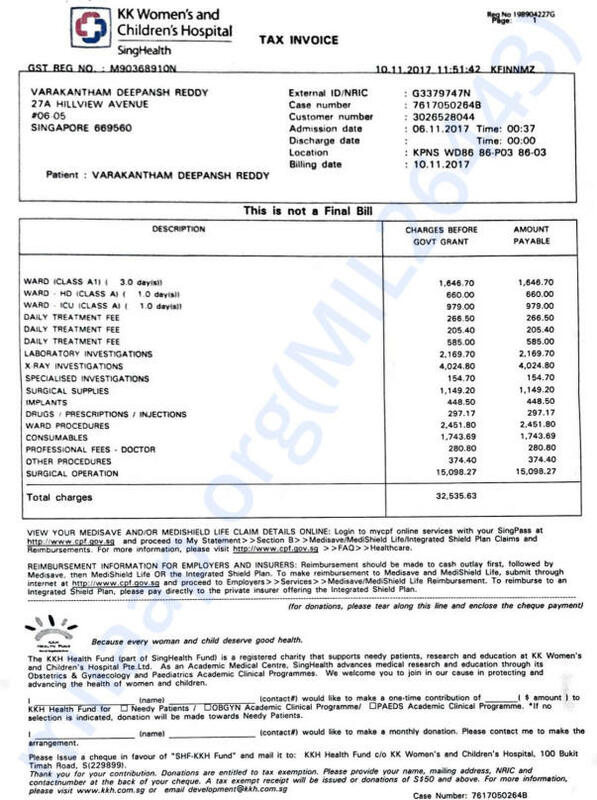 Each session cost $6,500 excluding blood tests every session and PET scan every month. With these costs, Kids father Sandeep needed to max out his credit cards and sought financial help from family and friends to make ends meet, on top of his family’s other expenses. Now Time is absolutely critical for Depansh. Help Deepansh to continue being an Adorable Son and Center to his young courageous family. Deepansh 6th cycle chemo and BMT is completed and is under recovery phase. It might take another 10 to 15 days to get discharged from hospital. After discharge he will be observed for couple of weeks and an MRI scan will be scheduled. 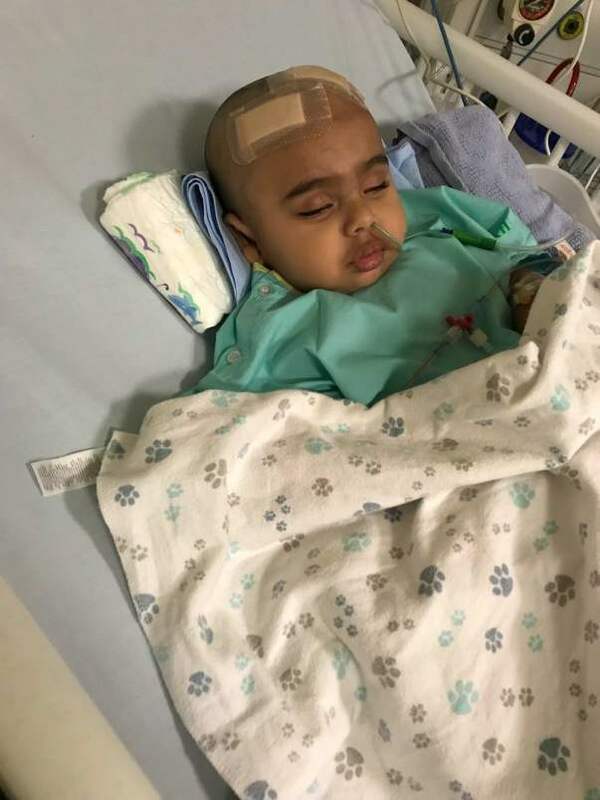 As of 10th June post 2nd surgery Deepansh was free of medulloblastoma but still there is scar (dead cells) tissue left near the brain stem which is difficult to remove. We will get inputs from the doctor for the next steps after his MRI scan. For 6th cycle Deepansh was taken to Childrens Hospital of Philadelphia in United States, the neuro surgeon at CHOP has suggested for surgery and surgery was today (6-Jun) in US timings, surgeon was able to remove major portion of the residual tumor, they are testing the tumor to check the presence of active cells, initial test on a part of tumor has shown that it is dead tissue. After he recovers from this surgery, 6th cycle will start, that will be high dose chemo with stem cell transplant. Thanks everyone for your great support and prayers. Deepansh has completed 5 cycles of chemotherapy. There was an MRI done after 5th cycle and scans show the tumor remained the same as it was after 2nd cycle MRI, good news is it did not spread to Spine and did not increase in size. 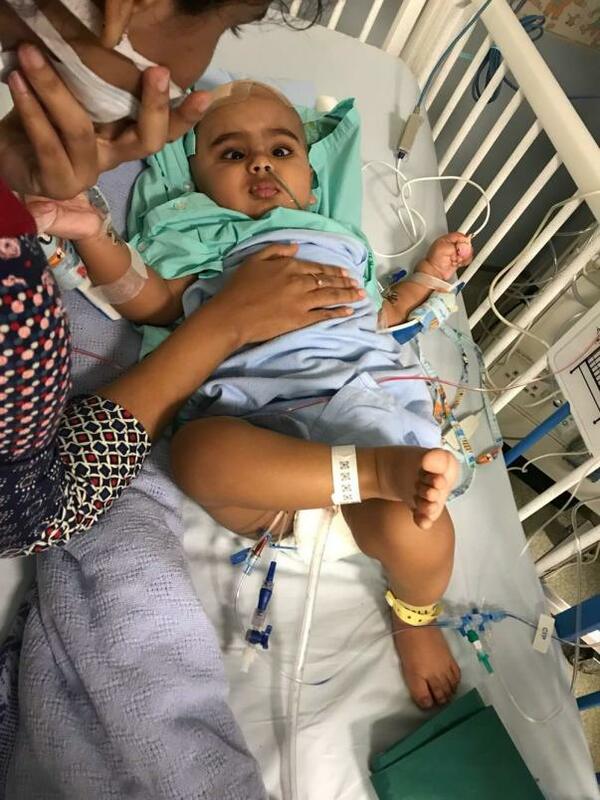 Deepansh is now in US CHOP (Childrens hospital of Philadelphia) for further treatment. We did not get any action plan from the Doctors here, we will keep updated on the treatment plan. Thanks a lot everyone for your contribution and prayers.